Realmag’s products and support services are absolutely top notch. He delivers every single time. One of the smartest developers I have worked with. Always a pleasure to see you release new products. No, just for products only! Hi, great follow-up support! just for this will support and buy today. You should put the names of those plugins in our tags so people will find this more. Also put in features. It’s a needed plugin. Great work…Thanks for update. Feature rich, elegant plugin, very promising but it is slow until it loads. I really like the ui etc but something has to happen about the speed. Especially when you have many products and attributes etc. Also our server is fast enough, not shared hosting or anything like that. Thank you! Good case for investigation for optimization. I tested the plugin on share hosting with all columns and 100 products and it been 25-30 sec per page, but as I described in one of the video https://bulk-editor.com/video-tutorials/ its better not enable all columns if its not necessary, OR set less columns. 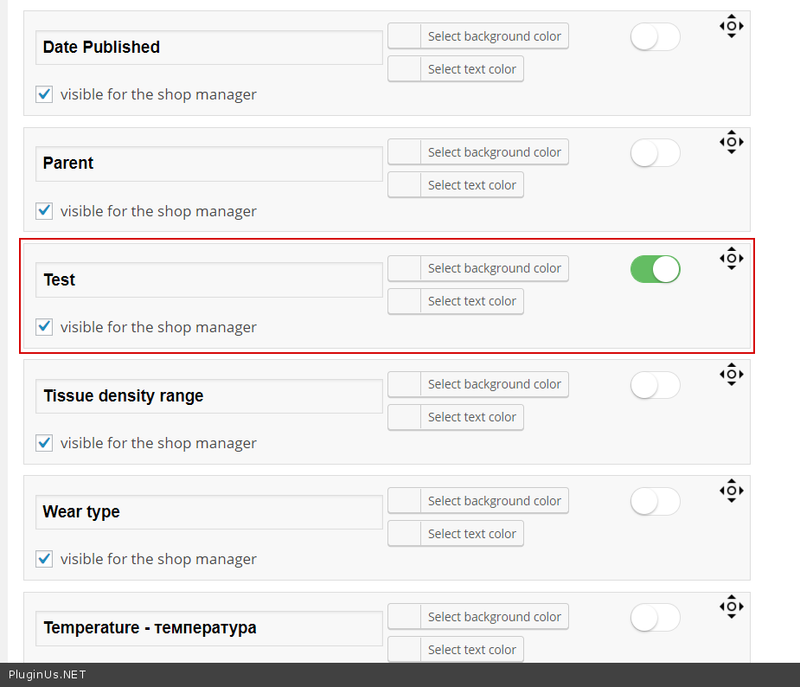 But if you not enabled all columns and any way have slow speed write on support please https://codecanyon.net/item/woobe-woocommerce-bulk-editor-professional/21779835/support with wp-admin access or even better make clone of your site by https://wordpress.org/plugins/duplicator/ and share its access with me. And one more: what PHP version is on your site? P.S. : We have 1500+ products with variations etc. Bug? Try to edit a product title and press ALT button on keyboard. It goes to the product title above. It’s not usefull cause some times we have to switch language with ALT+SHIFT. Can you fix this? Thanks. Also i can’t seem to add some attributes to a variable product but be only visible. Not to generate the variation combo. Can you explain how to do it? We have color and size that we want to generate the combinations but we also want to show only the wash on 40C attribute for example. Thank you. We ll wait for the next release. I find out that it is compatible with Individual fixed prices rules for each product() feature. Is there any way to make it compatible with Individual GeoIP rules for each product() feature? I already passed it to developers. I’ll write to you as soon as we create it. Just tried newest version and is indeed faster than before. Keep up the good work! Hi, will it be possible to translate this plugin using Loco Translate Plugin? Thnaks! 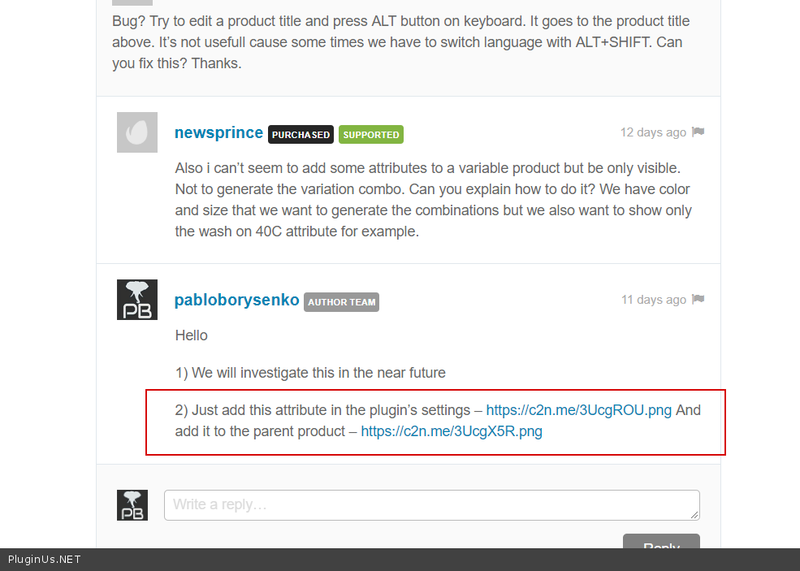 Hi, I’m looking forward to use the premium version of this plugin but I need to translate it to Portuguese-BR. I managed to translate some words from the .POT file but it seems that the most important words are not present in the .POT files. I need to translate those column titles in the main view, the Products Editor page (Thumbnail, Title, Description, Status, Regular Price, Sale Price, etc) but I couldn’t find them. Hey There, There are two bugs which I found on use. First is with the content pop up. Sometimes description’s, small description’s and other content popup based custom meta data’s text got interchanged. There is some bug and I have to reload the page and again edit that data. However, data is not saved in that product. Secondly, On adding a new product, all attributes added as variations. Like I have many attributes as Brand, fabric, sleeves style and all. Which I don’t want to add them to variations. I only want to Size and Colour Variations. Which I always add in accordance to this video>>> https://bulk-editor.com/video-tutorial/variations-advanced-bulk-operations/ But still, all other attributes added as variations. About geo-IP rules, I wrote to you in your email. You Misunderstood my second. I will screenshot the issue and post it your forums. I email you the video. Hope you now understand my issue. Support answered you by video also, is that helped you? Geez! I hope I know this plugin earlier. Save me lot of time. Before this, it was really painful to maintain products. So, I’m trying to pull this field into the editor. Could you lead me how to do that? A bit tricky. If I set “textinput”, it shows “[object Object],[object Object” If i set “textarea”, it shows “Array” If I set “Array”, it shows a blank square box. Hello I’ve tried your plugin and it’s cool. Anw, do you have multi-photo field like this https://prntscr.com/jon7wr? I was tired to update multi-photo one by one, so this is my first priority. Everything else are well for me! Cool, I will buy it for sure. Thanks for making this awesome plugins! Pre-sales question: is this plugin capable to add the same images to the different products at once, keeping existing uploaded images on product which are different (in gallery, that I cannot test in free version)? I have different sales and promotions constantly starting and stopping, often overlapping. Most products are variable products sorted by promotional categories Would WOOBE be a good way to turn these promotional sales events on and off? I have around 100 products that I’m looking to select (Visible on the product page) on Will this plug-in do that for me? Would dearly appreciate if you could let me know at your very earliest convenience. I want to copy selected taxonomies from one product to another, Can this plugin do it?